Rav said: The roofs and the upper chambers were not sanctified. But that is not so, for Rav said on the authority of R. Ḥiyya: „There was [only] as much as an olive of the Passover-offering [to eat], yet the Hallel split the roofs!“ Does that not mean that they ate on the roof and recited [the Hallel] on the roof? No: they ate on the ground and recited [it] on the roof. Yet that is not so, for surely we learned: „You must not move on after the Paschal meal to the aftermeal (the ‚Afiqoman‘)!“ and Rav said: „[That means] that they must not remove from one company to another? !“ — There is no difficulty: there it is at the time of eating; here it is not at the time of eating. Houses incorporated into the city wall, whose doors are to the interior of the walled in area, whose space extends outside the wall, [those parts of the building that are] within the wall are considered within for all matters; those areas that are beyond the wall we treat stringently and neither eat there [the second tithe and the fruits of the fourth year orchard], nor do we redeem [them] there. When their space was within the walled in area, but the opening of the space is outside the city wall, [those parts of the building that are] outside the wall are considered outside, and we may redeem [the second tithe and the fruits of the fourth year orchard], and we do not eat it there; while in those areas within the wall we neither eat nor redeem [them], so as to be stringent. The windows and the thickness of the wall are like the inside. Rambam covers trees (in the previous halakha), the city wall, extensions outside the city walls, buildings inaccessible from inside the city walls, but no mention of upper floors, even though those were surely a lot more common that rooms adjacent to and extending or eating into the walled area. The omission is glaring. The chambers [by the walls of the Temple] that are built in the sacred area and that open out onto the non-sacred area, when their rooftops were level with the floor of the Temple courtyard, then their insides are considered non-sacred, while their rooftops are considered sacred. When however their rooftops are not level with the Temple courtyard, then even the rooftops are non-sacred, for rooftops and upper floors were not sanctified. Consequently, we may neither eat there most-holy sacrifices, nor slaughter there simple-holy sacrifices. Rambam explicitly disqualifies upper floors of the Beit haMiqdash complex for the purpose of slaughtering Qodashim Qalim, and yet “forgets” to discuss the related halakha of the fitness of upper Yerushalayim floors for eating those very same qorbanot. Are we to conclude that according to Rambam, the Qorban Pessaḥ and other Qodashim Qalim meats (and all the more so Ma’aser Sheni and the like) may be eaten on upper floors? If so, how would Rambam deal with the citation from the above explicit Gemara in Pessaḥim? He means that we do not say that the roofs weren’t sanctified, except that the rooftops of [the buildings opening onto] the Temple courtyard do not have the status of the Temple courtyard, but here, the space of Yerushalayim is like Yerushalayim. If a tree stands inside [the walls of Jerusalem] and leans outside, or stands outside and leans inside: from [the part of the tree] aligned with the wall and inwards should be considered inside, and from [the part of the tree] aligned with the wall and outwards should be considered outside. Olive press buildings whose openings are inside the wall but whose chambers are outside the wall, or whose openings are outside the wall but whose chambers are inside the wall: Beit Shammai says: all of it should be considered inside. Beit Hillel says: from [the part of the buildings] aligned with the wall and inwards should be considered inside, and from [the part of the buildings] aligned with the wall and outwards should be considered outside. These Mishnayot are the source of the two halakhot we cited early on from the Rambam. The very same omissions found in the Rambam are found in the Mishna, and taken together, the omission is indeed glaring enough as to constitute proof. Such a view would, interestingly, distinguish between the upper floor of the Beit ha-Miqdash complex, which did not have sufficient sanctity to fulfill those mitsvot that must be performed in the ‘azara, and between the upper floors of Yerushalayim, which do have the same sanctity as the ground floors of the city. Why would there be such a difference? Ra’avad (cf. note 13 in Minḥat Ḥinukh Mekhon Yerushalayim) posits that this was a historical accident: Had the beit din sanctified the upper floors of the Temple complex, they would have been as kosher as the ‘azara. Ra’avad acknowledges an opposing view by Rabbenu Elḥanan. Minḥat Ḥinukh seems to take an interim position, implying that the beit din could have sanctified the floors, but did not because that wasn’t part of the Divine plan as received by Tradition. Rav Avraham Yafe-Schlesinger in his Beer Sarim (Vol. III §49) creatively suggests a meaningful answer. 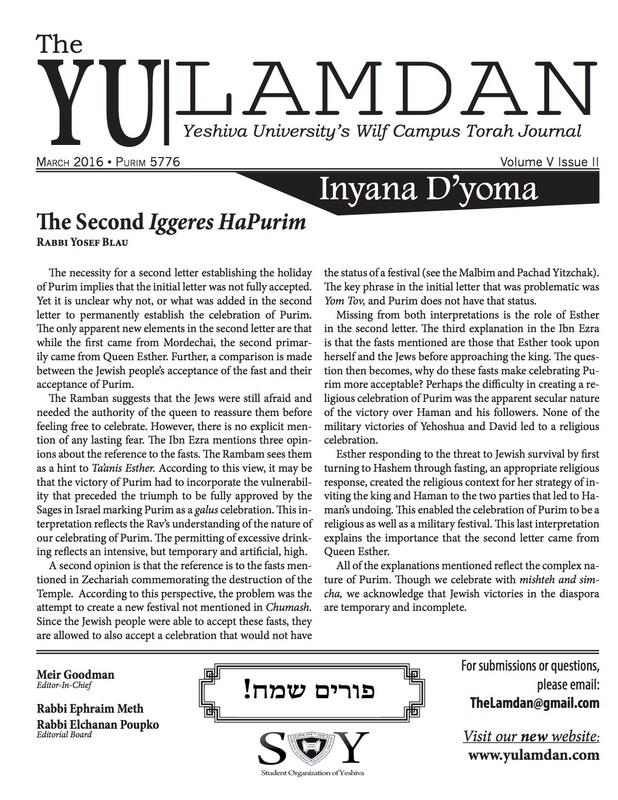 Drawing upon a seemingly superfluous comment by Ramban apparently needlessly explaining the obvious regarding the difference in sanctity between Yerushalayim and other cities of Yehuda, R’ Schlesinger reads into the Ramban that Yerushalayim posesses two different superimposed sources of sanctity: it has the status of the Maḥane Yisrael of the desert, a status it shares with other cities of Yehuda, and it also has an additional sanctity as being the chosen city for the Beit haMiqdash. Those sanctities are superimposed, such that, insofar as Yerushalayim is one of the cities of Yehuda and is a instance of Maḥane Yisrael, that sanctity only applies to the ground level, but insofar as Yerushalayim is also the space within which the Miqdash is located, that sanctity extends to upper floors and rooftops, as well. If the entire, or majority [of the, Pesach sacrifice] became impure, it must be burned in front of the palace [the Temple] with wood from the arrangement [set up for the altar]. If the lesser part of it became impure, or [concerning] notar [a sacrifice that becomes unfit, due to being left unconsumed until after the time limit for its consumption], they must burn it in their [own] courts, or on their [own] roofs, with their own wood. And so too, one who went out of Jerusalem and remembered that he is carrying meat that is holy [consecrated]; if he has passed [Mt.] Scopus, he must burn it on the spot; and if not, he must return and burn it in front of the castle [the Temple], with wood from the arrangement [set up for the altar]. It was taught in a baraita that Rabbi Shimon says: “In the sacred place…shall be burnt with fire”; this taught that one must burn a disqualified sin-offering in the sacred place, and not outside the Temple. And I have only derived this, meaning the sin-offering. From where do I derive that disqualified offerings of the most sacred order and portions consumed on the altar, such as the fats of offerings of minor sanctity that become impure, are burned in the Temple courtyard? The verse states: “In the sacred place…shall be burnt with fire.” This indicates that any disqualified offering must be burned in the sacred place. According to the above citations, the flesh of Qorbanot that became disqualified had to be burned ba-qodesh, in a holy place, and yet, when the flesh had been legitimately taken out of the Beit ha-Miqdash complex for eating in Yerushalayim, and subsequently became disqualified as notar, because the time limit before which the meat had to be consumed had passed, people’s own courtyards and rooftops were holy enough to burn the remaining meat up right there. Hence, argues R’ Schlesinger, the city rooftops must indeed have had the requisite sanctity. However, R’ Schlesinger also finds that Rambam, whom until now we assumed considered the rooftops holy, oddly does not mention the rooftops as being appropriate for burning disqualified sacrificial meat. This is mysterious and left as an open question. Anyway, having reviewed the views of the Rishonim and the sources on which they base themselves, one can surely not conclusively disqualify the fitness of rooftops and upper floors of Jerusalem from being used for eating Qodashim Qalim. Bimheira yibaneh ha-Miqdash, and we may appreciate that there are strong reasons to assume that the halakha may be lenient on this matter. Surely that may be a great relief when we try to accommodate sedarim for millions of Jews joining in for eating the Qorban Pessaḥ. May we merit to live to see this happen, amen. Rabbi Arie Folger is the chief rabbi of Vienna, Austria, and a member of the Rabbinical Court of Austria. Previously, he served as the senior rabbi of the community of Basle, Switzerland, and later Munich, Germany. He was ordained at RIETS, where he learned after learning several years at the yeshivos of Gateshead, Mir Yerushalayim and Chaim Berlin and holds an MBA from New York University. He is presently a member of a chavura of German rabbis at Kollel Eretz Hemda. Rabbi Folger has held several elected positions within the Rabbinical Council of America and the Conference of Orthodox Rabbis of Germany, and is a member of the Standing Committee of the Conference of European Rabbis.